Big Joe, a test rocket, had a successful yet failed test flight in 1959. In this historical photo from the U.S. space agency, Big Joe is ready for launch at Cape Canaveral, FL. The objective of "Big Joe" was to test the ablating heatshield. The flight was both a success and failure – the heatshield survived reentry and was in remarkably good condition when retrieved from the Atlantic. 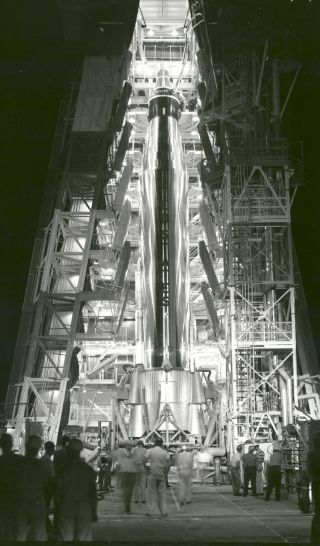 The Atlas-D booster, however, failed to stage and separated too late from the Mercury capsule.